A damaging earthquake could happen at any time in California, even today. Take steps now to prepare yourself and your family. You'll be glad you did! 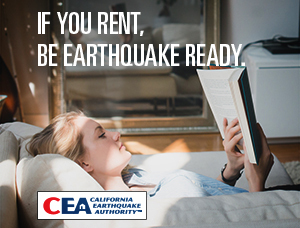 Download the Seven Steps to Earthquake Safety Brochure (PDF).